Historically, a genuine right of substitution, whether ‘sideways’ to someone of similar seniority or by way of delegation to a junior, has been regarded as one of the strongest factors favoring self-employment. Commenting on the delay, the Low Incomes Tax Reform Group (LITRG) said it was keen for a way to be found for the low income self-employed to continue to be able to make affordable savings towards their pension at a rate similar to the present Class 2, perhaps by introducing a lower rate Class 3. Targeted investigations by HMRC risk costing you and your business time and money. 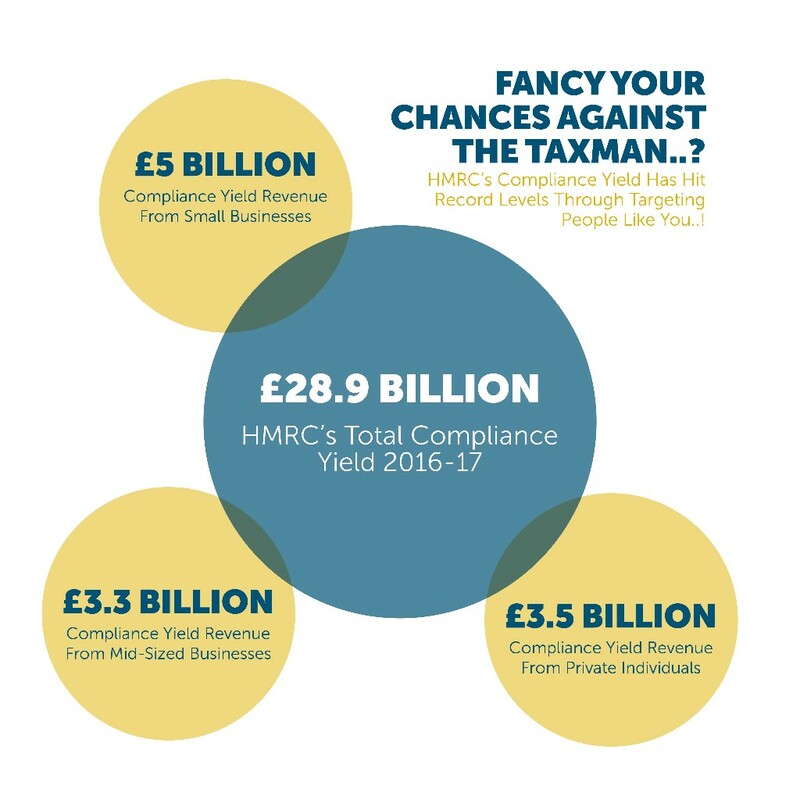 HMRC’s most recent report revealed that their compliance yield revenue reached record levels through targeting individuals and businesses like you. Investigations can cost you time and money but we can remove that risk and keep you protected with Fee Protection Insurance. Contact us today to find out more about Fee Protection Insurance which will provide cover for professional fees that result from an investigation by HMRC. The table sets out the factors which are relevant to the decision. no further tax/NICs are due if the individual subsequently withdraws the money from the company in a HMRC approved manner (see below). Borrowing from the company on a temporary basis may mean that no tax is paid when the loan is taken out, but it will result in tax and NICs on the notional interest on the loan. There may also be a need to make a payment to HMRC equal to 32.5% (25% for loans made before 6 April 2016) of the loan under the ‘loans to participators’ rules. Where a provisional payment of tax and National Insurance contributions has been made because it has not been possible to accurately calculate the deemed payment and deductions by 19 April, then any adjustments should be reported via an Earlier Year Update (EYU) submitted electronically to HMRC before the following 31 January. However, interest on overdue tax is chargeable from 19 April if tax and NICs are underpaid on the basis of provisional figures. Broadly, the taxable benefit arising on a car is calculated using the car’s full manufacturer’s published UK list price, including the full value of any accessories. This figure is multiplied by the ‘appropriate percentage’, which can be found by reference to the car’s CO2 emissions level. This will give the taxable value of the car benefit. The employee pays income tax on the final figure at his appropriate tax rate (e.g. 20% for basic rate taxpayers; 40% for higher rate taxpayers). In general terms, less tax will be payable on ‘greener’ cars those with lower CO2 emissions. The graduated table of company car tax bands will include a differential for cars with emissions of 1 to 50g CO2 per km based on the electric range of the car. For cars with an electric range of 130 miles or more, the appropriate percentage will be 2%; for cars with an electric range of between 70 to 129 miles, the appropriate percentage will be 5%; for 40 to 69 miles, the appropriate percentage will be 8%; for 30 to 39 miles, the appropriate percentage will be 12%, and for less than 30 miles, the appropriate percentage will be 14%. For cars that can only be driven in zero-emission mode, the appropriate percentage will be 2%. For all other bands with CO2 emissions of 51g CO2 per km and above, the appropriate percentage will be based on the CO2 emissions only. For cars with emissions of 51 to 54g CO2 per km the appropriate percentage will be 15%. For cars with emissions above 54g CO2 per km, the bands will be graduated by 5g CO2 per km and the appropriate percentage will increase by 1% for each 5g CO2 per km band, up to a maximum of 37%. For cars with emissions above 90g CO2/km, the appropriate percentage will increase by 1% in comparison to 2019/20 levels. Taper relief is particularly beneficial for those with large estates. Giving away £1 million and living for seven years takes the money right out of the inheritance tax net. But even if the donor lives for only six years, the £1 million less the nil- rate band is charged at just 8% under taper relief, instead of the full 40% inheritance tax rate. updates to HMRC for their VAT. Being liable to pay Class 2 NICs can be quite advantageous as contributions give access to certain contributory-based benefits for a relatively low outlay – £2.85 per week for 2017/18. For example, where NICs are not otherwise payable, it may be advantageous for a landlord to consider turning ‘investment’ letting into a business to bring it within the scope of Class 2 NICs, which in turn will enable him to build up an entitlement to state pension. Does your company do one of the following seven things? 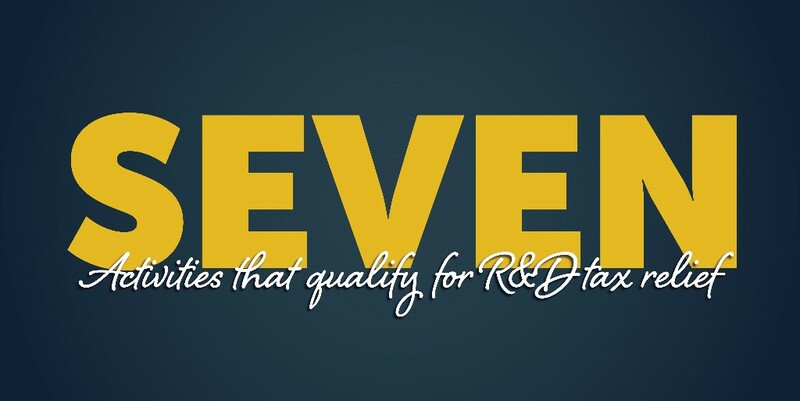 If so then your company could qualify for R&D tax relief and get some money back to help fund your next project. With an average client benefit of five-figures, contact us today or by calling us on 0121 556 1072 and start recuperating money today.